Your best place to buy & sell Mom & Pop Shops! This project came via the Seattle Tech message board. One of the partners (Shan Sundaram) messaged the Seattle Tech group requesting the services of a marketing copywriter. Shan contracted me to provide the headline and bullet-point content for the new ySell website. 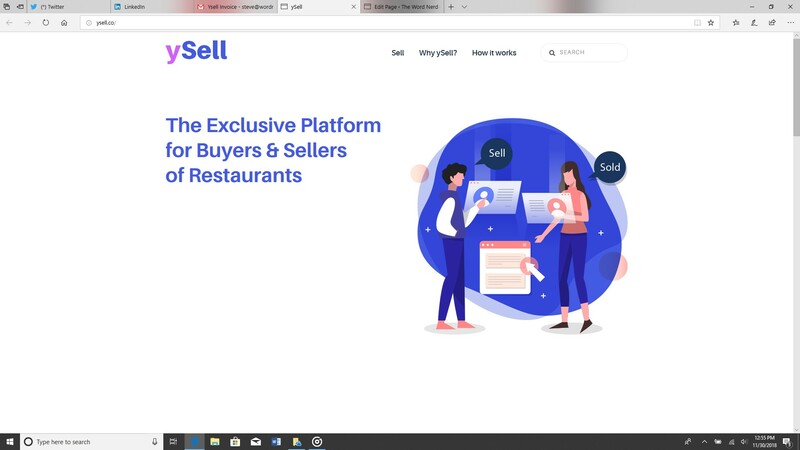 The website offers a portal that streamlines the buying and selling of family-owned restaurants. In Shan’s words, “Everything looks nice! Great work and thanks for all your help! This was another project from Chris Shockley. Dynamic AVI wanted to replace the company’s website with a new, more user-friendly version. Chris contacted me to ask if I was available to create fresh content for the company’s new website. My answer of course was, “Yes!” I have always been intrigued with high-end audio/visual equipment. This project was a match made in heaven. I loved every minute of it! 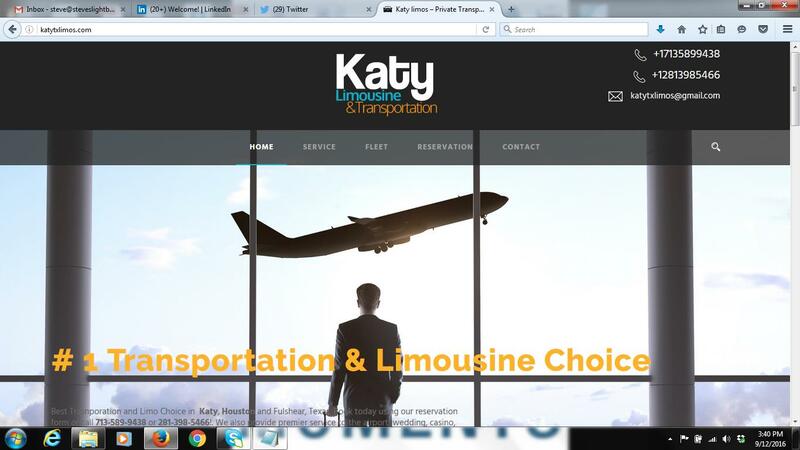 Content for the premier limousine provider in Katy, Texas. This project came via Chris Shockley, owner of Envision Design Solutions (http://www.envisiondesignsolutions.com/) as well. Email me ([email protected]) or call me (253-670-1262). 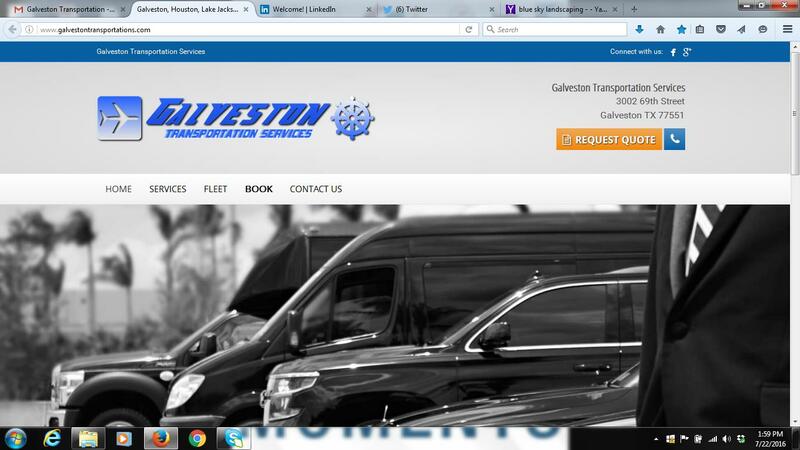 Created new written content for this Houston-area (shuttle & limousine) transportation services provider. This project came via Chris Shockley, owner of Envision Design Solutions (http://www.envisiondesignsolutions.com/). Email me ([email protected]) or call me (253-670-1262). Supplied written content as well as creating the webpage structure for the new Optometric Physicians of Washington website. 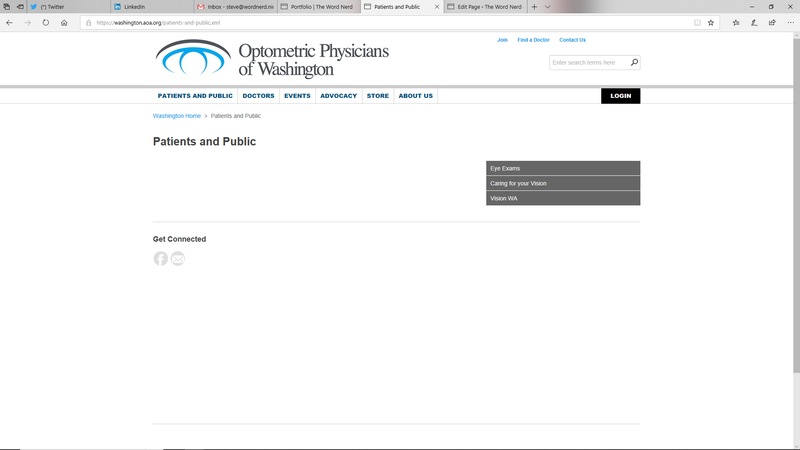 The Optometric Physicians of Washington were transitioning to a new website designed by ATS. Email me ([email protected]) or call me (253-670-1262). 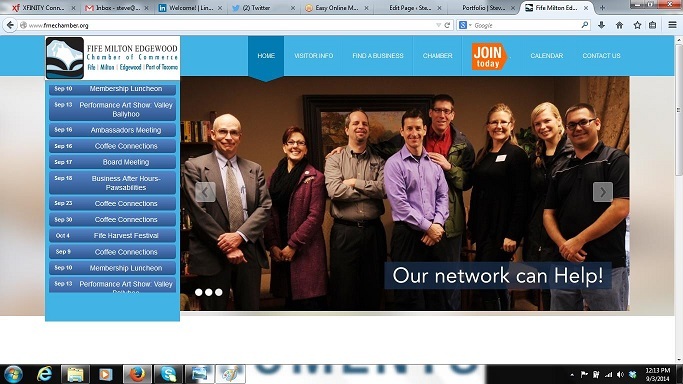 Check out our revised Chamber website! CEO, Lora Butterfield, asked me if I would be willing to go through and freshen the written content. Email me ([email protected]) or call me (253-670-1262). 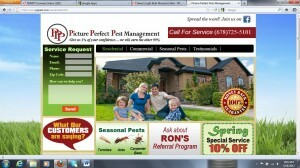 I am proud to say that I supplied all the written content for the Residential, Commercial, and Seasonal Pest pages. The Picture Perfect Pest Management (PPPM) project was acquired through LinkedIn via Angela Berry a web designer based in the Atlanta area. At the time, Angela was in search of a marketing copy-writer for this particular project. After Angela contacted me and I started on the project, I asked Angela in a subsequent phone call what induced her to contact me? Angela replied, “I liked what you had to say.” And the rest was history. 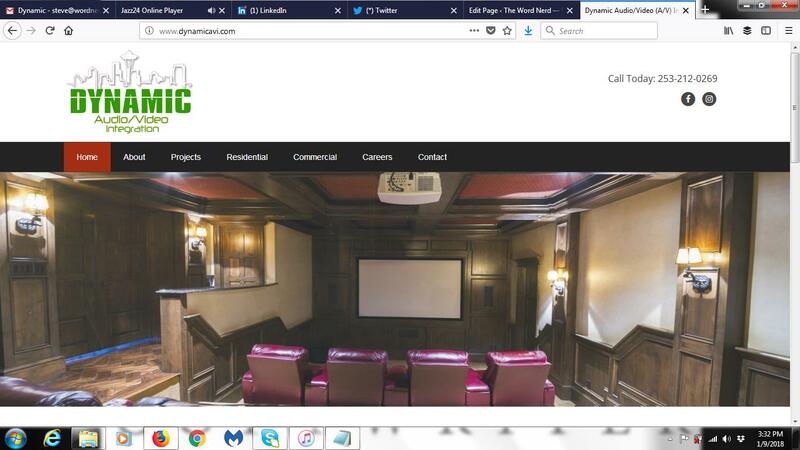 Recently, Angela reported to me that the PPPM website is receiving a high amount of traffic and the owner has been complimented on the new website content. If you like what you discovered on the PPPM site – email me ([email protected]) or call me (253-670-1262). Below is a sample of the written content I supplied for the client. I did supply all of the written content for the company’s new website. 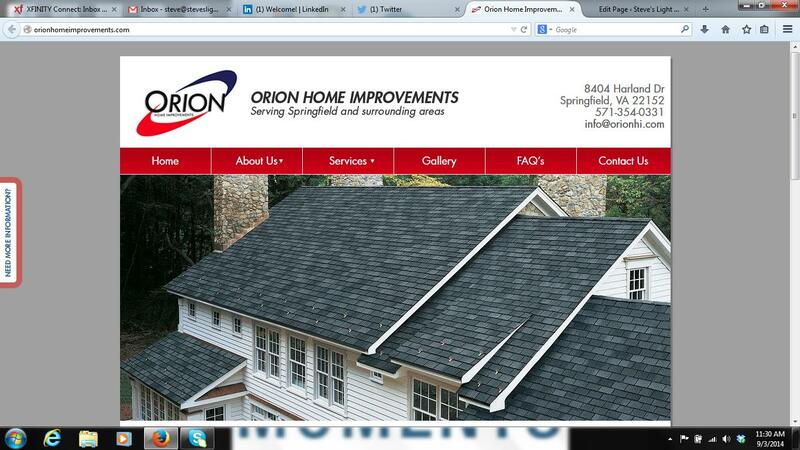 The copy-writing project for the new Orion Home Improvement website became available through Pertango. Pertango is a web design/marketing firm based in Tacoma, WA. I enjoyed writing the content for this site because of the targeted nature of the content. What do I mean by targeted nature? The content was specifically targeted at homeowners living in homes 10-plus years old. Homes in this age-range tend to start requiring attention to the roof, siding, gutters etc. Email me ([email protected]) or call me (253-670-1262). You Want Engaging Content – Make It Relevant!